Sharpen your skills at Kitchen Engine cooking classes. Sometimes it seems like the hardest thing about sampling a food truck menu is figuring out where they're likely to be. A few events are trying to make that a little easier. Every Friday through August, check out Food Truck Friday in downtown Spokane. A variety of food trucks will park along the 200 block of N. Wall Street between Main and Spokane Falls Blvd. from 11:30 am-1:30 pm. Help kick off the Perry Street Thursday Market expansion with a food truck rally on June 22 from 3-7 pm in front of the Shop. Check out food truck nights at the Kendall Yards Night Market on July 19 and Aug. 16. They're staying open late on those nights from 4-9 pm. If you're not already taking advantage of the wide array of delicious produce at our many area farmers markets, it's time to get on that. There's one somewhere in the region nearly every day. If fresh produce and other local products aren't enough to tempt you, you might want to check out Chef in the Market (Aug. 10 at the Perry Street Market), or stop by the Emerson-Garfield Market (located in the parking lot of the Institute for Extended Learning, 2310 N. Monroe) on June 16, July 14 and Aug. 11 for cooking demos (aimed toward those just beginning to build culinary skills or dipping a toe into market-to-table cooking, but open to everyone). The Perry Street Thursday Market will host a food truck rally on June 22. Kids in grades 4 and up can test their skills in a culinary challenge offered by the Spokane County Library District. Each team has 45 minutes with some secret ingredients to wow the judges. This event takes place at each of the 10 county library branches this summer; check out scld.org for details. There are few better experiences than tasting two completely different things which combine with seeming magic to create something greater than their separate parts. That's the goal with wine and beer dinners, and if you're so inclined, there are quite a few summer options. Try out Walla Walla's Dusted Valley wines paired with a meal by Executive Chef Jim Barrett at Beverly's at the Coeur d'Alene Resort on June 16th ($95/person). For a wine dinner that gives back, check out the Pour at Arbor Crest on June 17. This event often sells out, so give them a call right away (seriously, why are you still reading this?) $175/person benefits the Providence Health Care Foundation. Taste Pfriem! beer from Hood River coupled with five courses by Steven Swanson, executive chef at Nectar Catering and Events, on June 20 ($50/person). Take the Night Market to the next level with a Chef's Dinner featuring Steven Kitchens on Aug. 24 at Kendall Yards. Space is limited to 20 people. Celebrate the Fourth of July with two events at Beverly's in Coeur d'Alene. Red, White & Brews on July 3 includes a cocktail social, buffet dinner, beer samples, even dancing on the Lakeview Terrace ($50/adults, $10/ages 3-12, kids 3 and under are free). Steaks N' Sparklers on July 4 includes a gourmet barbecue buffet, entertainment, and, of course: fireworks ($80/adults, $35/ages 3-12). 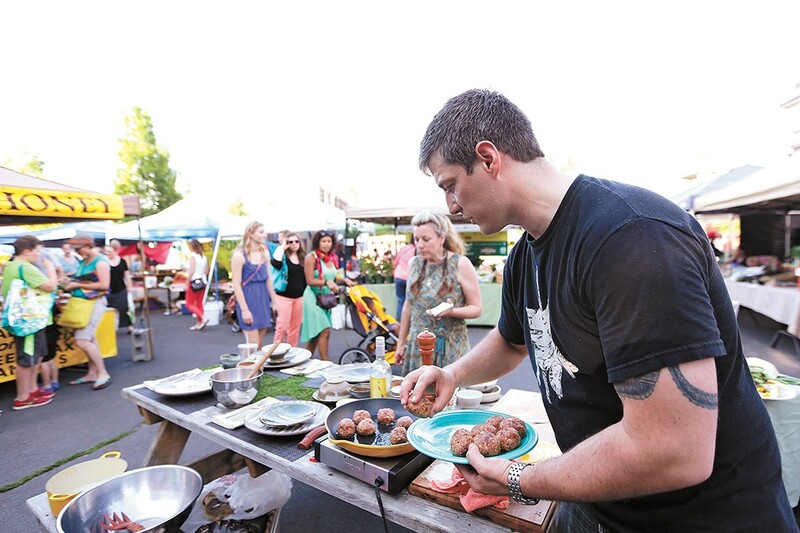 Get a little closer to the source of your food with two farm-to-table dinners from Inland Northwest Food Network. Chefs Adam Hegsted and Aaron Fish will prepare dinner at Rugged Roots Farm in Bayview, Idaho on July 16, and Chef Molly Patrick will be at the helm at Lazy R Ranch in Cheney on Aug. 13. Both events will include farm tours and are $75/person. 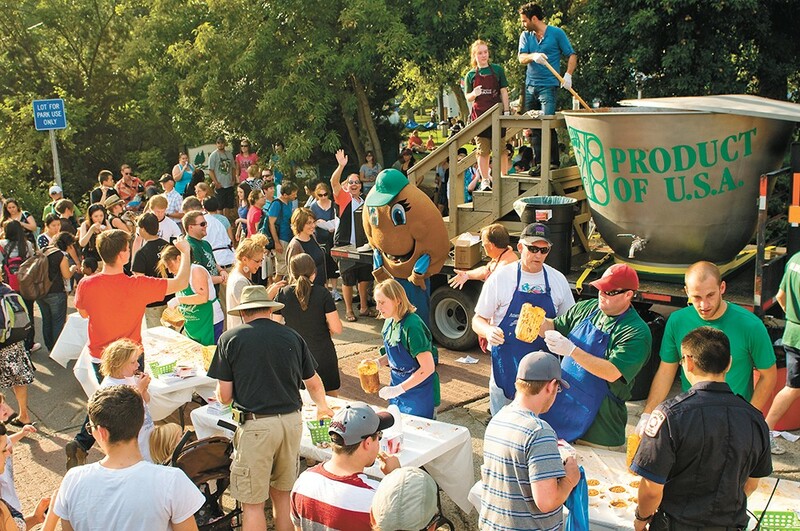 The National Lentil Festival runs Aug. 18-19 in Pullman. In case you haven't heard, there's a new food event in town. Crave! NW features 50 chefs cooking at 10 events located at CenterPlace in Spokane Valley, with chef-hosted afterparties at select local restaurants. Taste offerings from both regional chefs and guest chefs from all over the country from June 15-18. You can save some money on entry by buying tickets online ahead of time. Some of the events include a Street Food Carnivale (June 16), and a Seafood Bash (June 15). This is also your chance to see if the shape of a wine glass really makes a difference with a Riedel tasting and watch The Last Magnificent (a documentary about Chef Jeremiah Tower), with that chef in the room. You'll want to head to Wallace, Idaho on Aug. 19 and 20 for the annual Huckleberry Festival, a celebration of everybody's favorite Inland Northwest berry. Eat your fill of huckleberry concoctions and join in with a variety of activities for the whole family. This event is free; you almost can't afford not to go. In all of summer's hubbub, it can be easy to forget to make the trip to Green Bluff. Don't make that mistake this year. Not only are there a wide variety of fruits and vegetables (strawberries! peaches! green beans! ), but you usually have a choice between picking your produce yourself or leaving it to a professional. Check Green Bluff's website (greenbluffgrowers.com) to see what's growing, or just show up and be surprised. 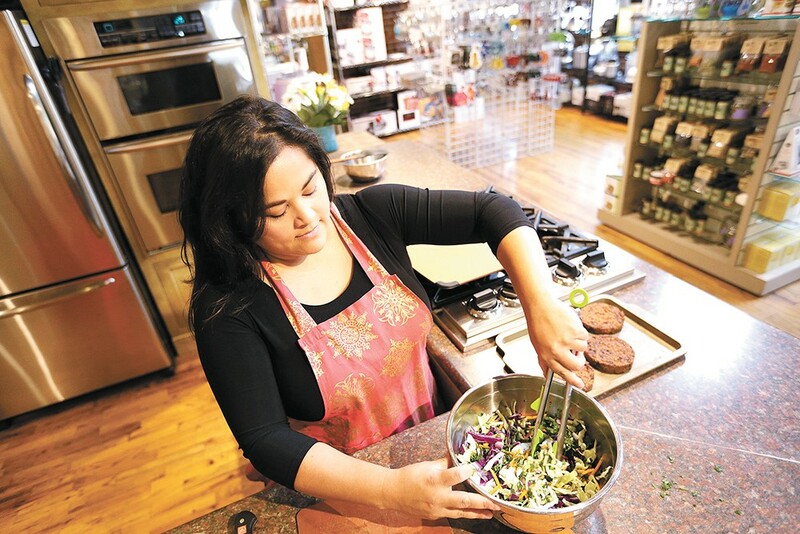 Whatever your cooking conundrum, there's a local class for that. Try your hand at making ice cream (with classes on both dairy-based and dairy-free varieties), master the perfect salad, or try your hand at a farm-to-table meal with classes from the Kitchen Engine. Learn how to grill like a master with Clover's Scott McCandless on June 29 and July 27, with an emphasis on rubs, sauces, and brines. If you're interested in grilling beyond meat, check out Inland Northwest Food Network's grilling class on July 20 (they'll be grilling meat as well), and top everything off with their homemade condiments class on Aug. 17. Try your hand at pizza and stromboli on June 22 at the Inland Northwest Culinary Academy (maybe Thai on July 27 or Mediterranean food on Aug. 3 is more your thing). Learn to decorate cakes with natural ingredients with Mika Maloney at Batch Bakeshop on June 21, and check out her cookbook-of-the-month classes, which include the cookbook for you to take home. Give gluten- and dairy-free cooking a try at the Kroc Center in Coeur d'Alene on July 25. Down in Moscow, at the Dahmen Barn in Uniontown, you can perfect your backyard BBQ game (while sipping a glass of wine or a beer) on June 28. As if this wasn't enough, you can learn how to make your own pesto at Petunia's Marketplace on June 17 (keep a watch on their Facebook page for more classes coming soon). The Palouse is famous for lentils, and it's time to celebrate once again at the National Lentil Festival. Pack up the family and make your way to Pullman for two days of festivities (Aug. 18 & 19). There will be cooking demos, kids' activities, and more lentils than you'll probably consume in a lifetime. The best part? You and the whole family get in for free. Kayak + Dinner on July 13 and Aug. 17. Blaze a trail to the fourth annual Spokane VegFest at Spokane Community College on July 22 from 10 am-6 pm. Check out the cooking demos while listening to live music, maybe do a little yoga, and browse more than 100 vendors and an outdoor market, all for free. You usually walk away from a library visit with books, movies or music; this August, you can walk away with fresh produce. The Medical Lake, Cheney, Fairfield, Otis Orchards and Deer Park libraries are hosting produce swaps. Bring your excess fresh produce and swap it for someone else's abundance. The leftovers will be donated to a local food bank (the swaps will continue into September). Check scld.org for more info. Reserve your spot on Clover's patio for a good, old-fashioned crab boil (their third annual) on July 11 at 6:30 pm. While it's spendy ($100/person), it's an experience you can't get anywhere else in Spokane. If you like to work up an appetite, you'll love Kayak + Dinner on July 13 and Aug. 17, from 5:30-9:30 pm. 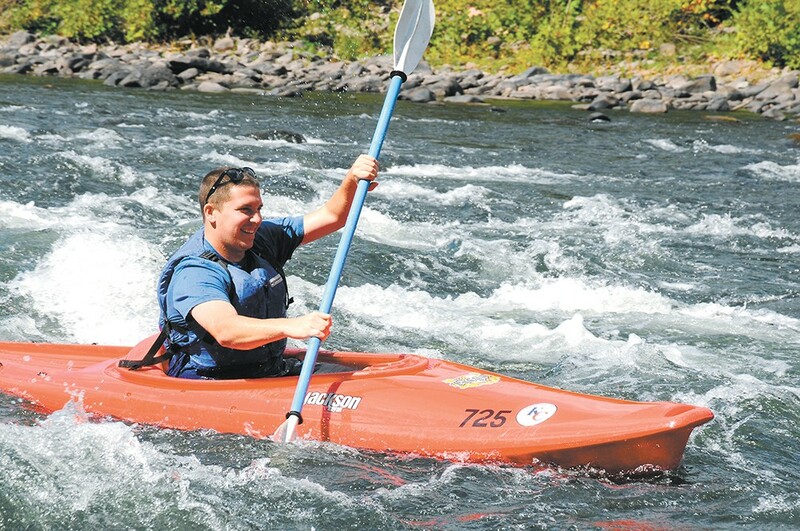 Begin with a guided kayak trip oh the Spokane River and end up at Bangkok Thai, where dinner awaits. $25/person covers everything.